the SINGLE individual who has contributed significantly toward improving the access, cost, and quality of healthcare across the globe. Year after year, businessmen, hospital administrators and other fat cats talk about improving healthcare for the American people. Year after year, the only improvements we see are the enhancement of their personal portfolios, salaries, and benefits. Also, the all-talk, do-nothing politicians pledge the healthcare Promise Land to the American people if they get elected. But once they reach the nation’s Capital, they catch the “enrich themselves” bug, forget the healthcare promises, and begin reaping the rewards of government on the backs of working Americans. Not so for our 2018 Person of the Year. 1. Business practices that expand, integrate, and improve healthcare. 2. Novel innovative technology, protocols and patents. 3. Smart government or legislative healthcare initiatives. 4. Unprecedented philanthropic partnerships and healthcare initiatives. There is no submission cost for the nomination, and after screening, an interview maybe required. Final selection is completed by SafeCare Magazine editorial board, and the notification of the outcome is conducted through SafeCare Magazine. 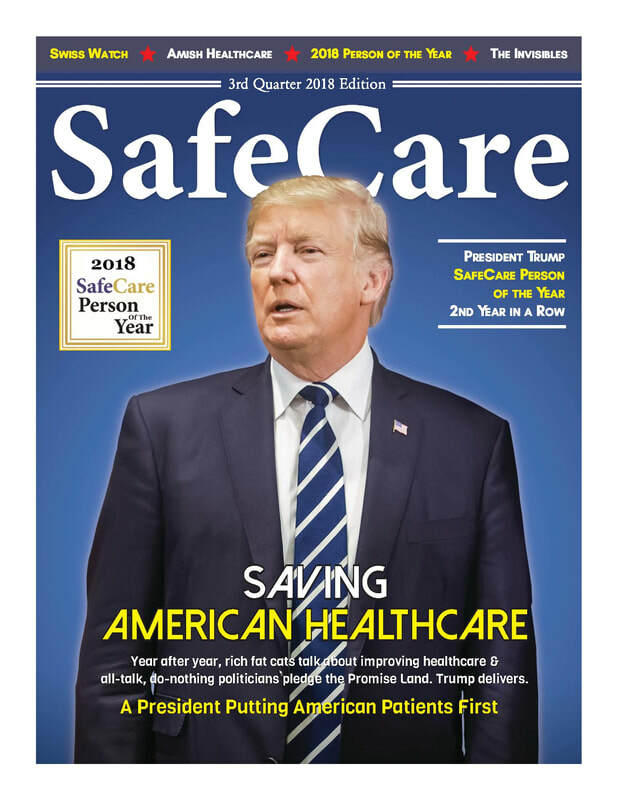 SafeCare Magazine has exclusive rights toward an interview, and materials submitted become the property of SafeCare Magazine.